What are your thoughts about this dime? 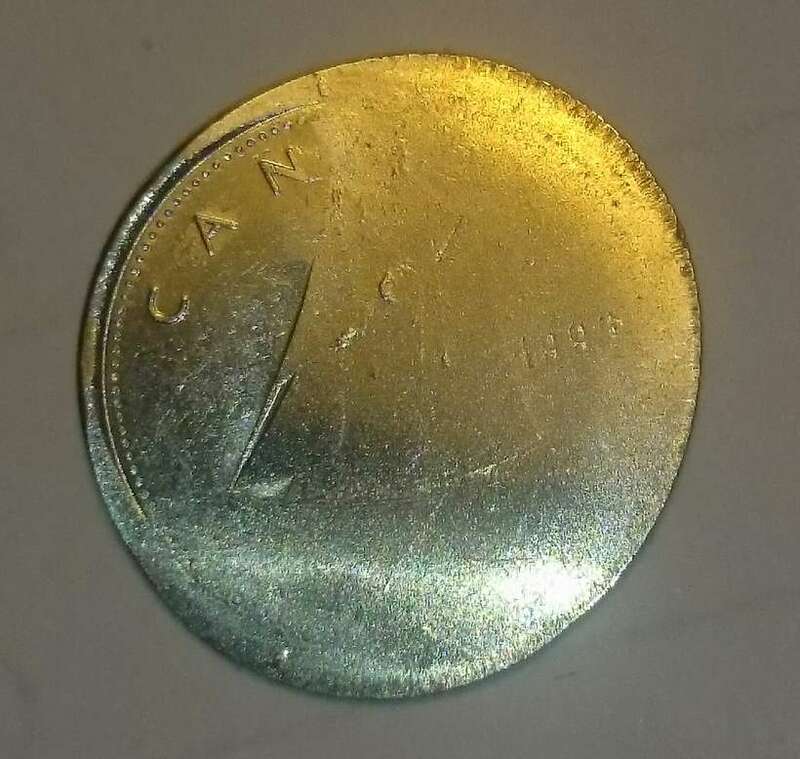 If I hadn't gotten it from the mint roll myself back in the late 1990s I would just assume it's an interesting train track coin but it's not. It has never been anywhere near the train tracks or any other place where it could be flattened like this. It's pretty much looked the same since I found it. Has anyone else ever seen anything like it or have any ideas how it came to look like it does? Hasn't this post been on another website and many gave you the answer? No this coin hasn't been posted elsewhere. Other than a few friends and family members no one else has ever seen it before. It doesn't look like it would fit in a dime roll .. too big. Was it a bank/mint roll or from someone who made up a roll themselves? It was in a roll that had to be broken open like you get from the mint. It did fit though barely. This is all post-mint damage (PMD), so the roll didn't come from there. It was done with a vise, a hammer, or hammer and oak board in a garage or workshop. I am not an error specialist by any means but looking at this coin my spidey senses are tingling and not in a good way. There's a LOT of things going on with this coin that I can't explain other than PMD. It looks like the coin has a rim edge on it... but then there's metal extruding from the rim edge. I have a hard time figuring out how that could happen in the process of minting coins. 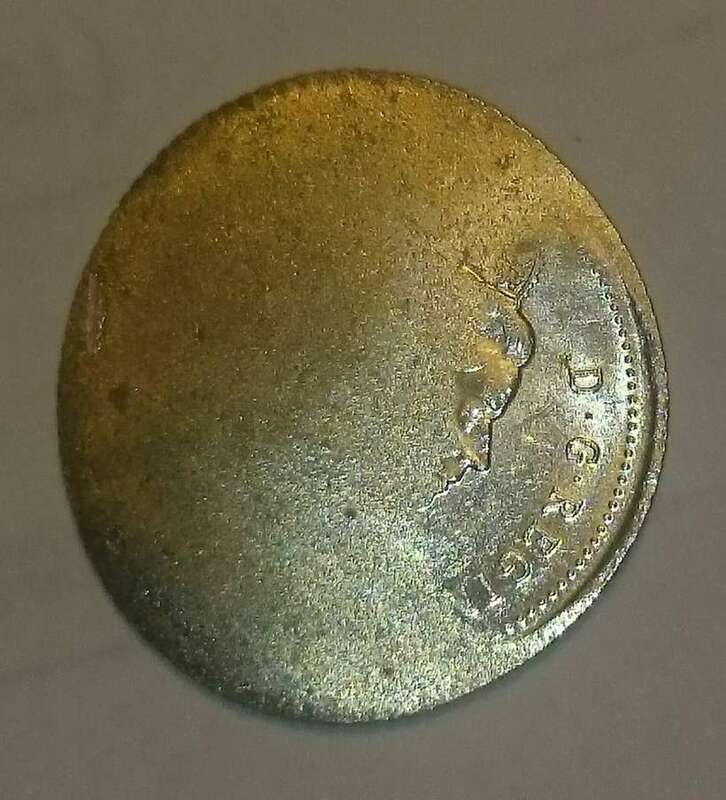 I'm also confused on how extruding details such as the date and the denticles now appear "mushy"
Everything suggests to me that a great force was applied to this coin after it was struck, but everything I know about the minting process, after a coin is struck it's basically collected in a hopper and rolled. So I'm not sure aside from the strike where this coin would've received such a force upon it.